PlayStation VR simulation game has launched today which is being created by Ubisoft Montréal and has been specifically designed for virtual reality hardware. Check out the launch trailer below to learn more about what you can expect from this virtual reality experience that allows you to fly above Paris. Fifty years after humans vanished from the face of the Earth, nature has reclaimed the city of Paris, leaving a breathtaking playground. As an eagle, you soar past iconic landmarks, from the Eiffel Tower to Notre Dame Cathedral, and dive through narrow streets in order to fight opponents and protect your territory. 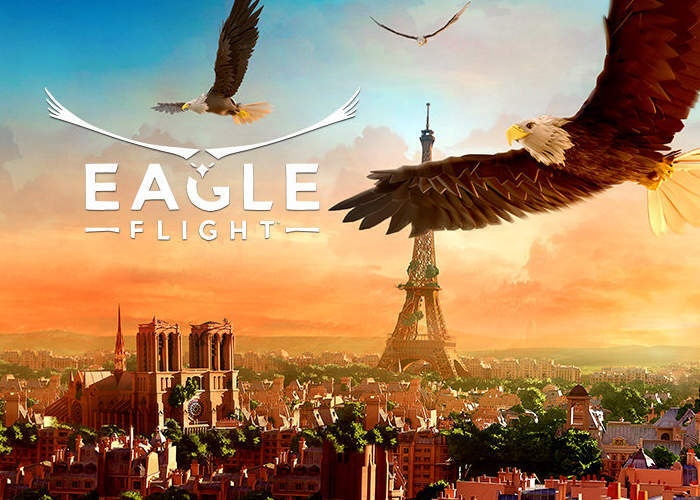 Eagle Flight gives you the absolute liberty to explore Paris from a bird’s-eye view! Experience a true multiplayer adrenaline rush with up to six players! Use your piloting skills to lead your team to victory and engage in heart-pounding multiplayer dogfights. Whether you’ve always wanted to experience Paris from a bird’s-eye view or wanted to live the thrill of hunting like a bird of prey, Eagle Flight lets you fulfill your dreams!